A Collection of Wednesdays - Audiobook | Listen Instantly! If you were to set aside a part of one day every week to explore all the pieces of who you are, what would you find? For Amy Gaither Hayes, Wednesday mornings have been such a time: a sacred space for her to distill the seemingly disparate bits and pieces of her life into their essence. Then she has set about reconnecting those pieces like beads in a necklace, discovering in the process a unified whole infused with purpose and beauty by her Creator. So it is with us all. 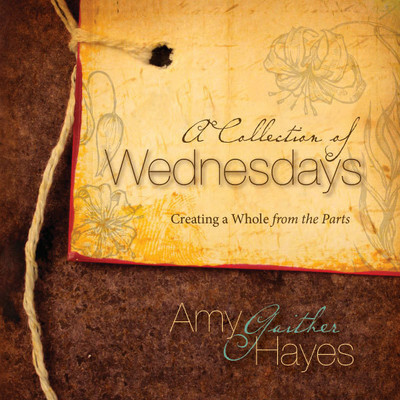 In this anthology of Wednesday reflections by Amy, you will discover a new, simpler way of looking at the person you are. Through story, poetry, and song lyrics, A Collection of Wednesdays helps you uncover a Divinely woven order in what appear to be the random components of your life. Calling. Passion. Sand. Rest. Church. Music. Books. Words such as these offer fresh, uplifting glimpses of how your soul is put together. Find out how, and discover new insights into both yourself and the heart and ways of God. Download and start listening now!